Last night, an amazing thing happened. The moon turned blue! Congrats Lee Li Lian and the Workers Party. And congrats to residents of Punggol East. Welcome to the family! I'm proud to be living in this small but growing blue part of Singapore. Above are some of my tweets during the live tweeting of the Punggol East By-Election results. You can follow me on Twitter here. And below is a video of Yam Ah Mee in his last appearance as the Returning Officer, declaring Workers Party Lee Li Lian as the winner of the 2013 Punggol East By-Election! Yam Ah Mee will be resigning from People's Association (PA) in March. Li Lian garnered 16,038 votes against PAP candidate Dr Koh Poh Koon's 12,856 to become the first female opposition member to win a single member constituency since 1965. What an accomplishment by Li Lian and the Workers Party. And what a result this is for the future of politics and democracy in Singapore. The people have spoken and change is coming. Last Friday, I attended the Golden Village press screening of Cloud Atlas, a movie written and directed by Tom Tykwer (Run Lola Run), Lana and Andy Wachowski (The Matrix Trilogy) and featuring an ensemble cast that includes Tom Hanks and Halle Berry. Watch the trailer above. Cloud Atlas is an exploration of how the actions of individual lives impact one another in the past, present and future, as one soul is shaped from a killer into a hero, and an act of kindness ripples across centuries to inspire a revolution. Adapted from the 2004 best selling novel of the same name written by David Mitchell, Cloud Atlas consists of six interrelated and interwoven stories that take the viewer from the remote South Pacific in the nineteenth century to a distant, post-apocalyptic future. Unlike the original novel, the film is structured. When you watch Cloud Atlas, you have to abandon the idea that it is six stories. It is one story! Each of the stories is reflecting on one another as you go through the entire movie. As each story evolves, you start seeing how it all links. Each story propels the next story and so on until it all comes together and feels like they are all one. Cloud Atlas is not just another film. Its concept is original and brave. Its script is fresh and inventive. Its direction is ambitious. Its editing is flawless. The highlight of the film is definitely its actors. Each actor plays four, five or sometimes up to 6 characters in the movie. Hard to think of any film that has done this at all. And its so much fun trying to spot the actors as they morph into the different characters. Cloud Atlas opens in Singapore on 17 January 2013. Go watch it! Like the excellent Inception, you may have to watch Cloud Atlas more than once. "Our lives are not our own. We are bound to others, past and present and by each crime and every kindness, we birth our future." Check out the new episode of Singapore Haunted! In this episode, me and the team investigate a haunted office in Beach Road. Yes, a haunted office! Watch the trailer above and then head over to R3LOAD Network to watch the full Singapore Haunted Ghosts In The Office episode. Pardon me for all the cursing and swearing on this episode. I couldn't help it. Imagine having a marker flown from a table by an unknown entity and nearly hitting you. I would like to thank Pristine and Shiela who worked in the office for letting us interview them. They were too scared to go to work because of their paranormal experiences there. Poor thing. Also Master Ric Aw and his team of ritual and fengshui experts for being on the show. Thanks also to those who sent their haunted office stories to us. We could only read 3 of your stories on the show. And lastly, thanks to Fabulous Tan who contacted me once they found out their office is haunted and for giving us a night at their office to film this incredible episode. Singapore Haunted is produced and directed by yours truly for R3LOAD Network. If you are interested to join us on the show, please LIKE us on Facebook and send us a message. 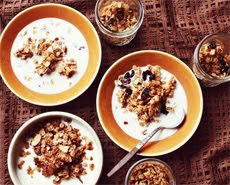 I love granolas! I always have them with my favourite yogurt ice cream. Here's how you can make your very own granola: "The pecan is, in my personal opinion, the King Of The Nuts and the most perfect nut for any and all granola. But if you're not convinced, almost anything works. Try almonds, pistachios, hazelnuts, or walnuts." 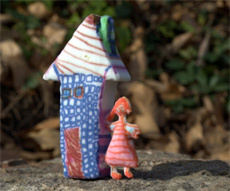 Snap a photo of that awesome drawing that your kid make and send it to the guys at Crayon Creatures. They will then turn the drawing into a real figurine! Each figurine is 3D-printed in full-color sandstone material. The printed product is hard, slightly brittle and rigid. 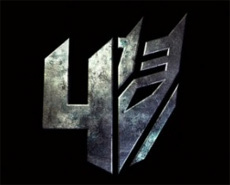 Michael Bay has just updated his blog with news that Transformers 4 isn't a reboot. Phew! He writes: "This movie takes place exactly 4 years after the war in Chicago. The story makes a very natural transition, and reason as to why we have a whole new cast. We are embarking on a new trilogy." 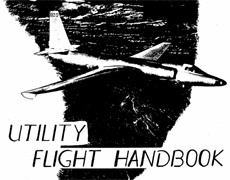 Learn how to fly the U-2 Spy Plane courtesy of this declassified 1959 U-2 Utility Flight Handbook. The U-2 is a very high-altitude reconnaissance aircraft operated by the United States Air Force and previously flown by the CIA for all-weather intelligence gathering. 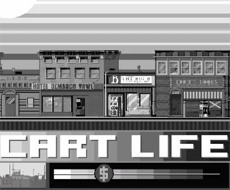 Go download the game Cart Life now! Cart Life is a retail simulation for Windows which portrays the lives of street vendors in a small city. Each of the playable characters has specific goals and special traits but also unique addictions which the player must accommodate in order to succeed within the game. 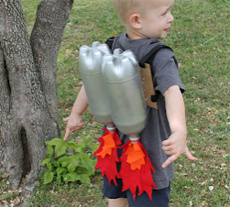 Natalie teaches us how to make a rocket powered jet pack for your kid using cardboard, felt and plastic bottles. She writes: "I upcycled 2 Two-liters and lightly misted the tops of them with silver spray paint. I cut out flames of felt. 2 red and 1 orange for each rocket engine, turbine." 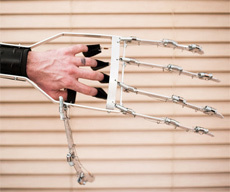 You can now order your very own Articulated Mechanical Hand from ChainCrafts. The dude who made this says: "This one is articulated and cable controlled. It's mainly constructed from aluminum, so the entire hand weighs less than 3 pounds. A wide variety of movements can be achieved and it makes an excellent addition to many costumes." 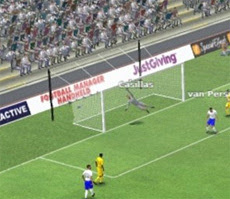 The makers of the popular football simulation game Football Manager, pitted the all-La Liga FIFA world team of the year against the best players in the English Premier League selected by readers of Daily Mail. Final score 2-0 to the FIFA team with goals by Marcelo and Dani Alves. I would like to see this game played for real. On the afternoon/evening of January 2 2013, the first thunderstorm of the year created numerous lightnings including a few spectacular cloud to ground lightnings and even flash floods in central and northern parts of Singapore. You can watch some of the lightnings that I shot that day in the video above.